Let’s get this one over the line Pittwater – please! Sea snake - From Palm Beach. Testing his mobility in the bath after a few days in care. Feathertail glider - From Church Point. He was lying on the road, unresponsive, and wasn’t quite an adult. Has been placed in nesting box after a few days care. Swamp wallaby - She came in with a lump on her neck. Took her into care and got veterinary help to drain the abscess. 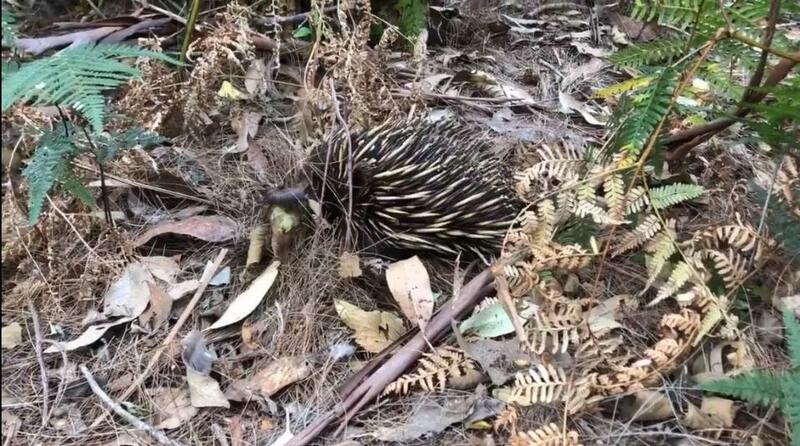 Echidna - Released back home after being healed.